The dry root tuber of perennial overgrowth fern plant Drynaria fortunei (Kunze) J. Sm. of family Japanese Polypody Rhizome. Guangdong, Guangxi and Sichuan provinces in China. Light smell and light taste. Unprocessed or stir-baked with hot sand. Bitter, warm; liver and kidney meridians entered. Activate blood and cure trauma, tonify kidney. This herb enters liver and kidney meridians and can activate blood, dissolve stasis, reunion of fractured tendons and bones, resolve swelling and alleviate pain. It is indicated for traumatic injuries, injuries, congestion, swelling and pain. This herb enters kidney and treat bone so named after its major indication of soft tissue injury and broken bone. It also has the actions of tonifying kidney and strengthening bone besides activating blood, curing trauma and alleviating pain. It is the commonly used herb especially for the syndrome of soft tissue injury and bone fracture in traumatology because it moves and dissolves qi and blood stagnation due to traumatic injuries and stops bleeding due to incised wound and broken collaterals. It is soaked in wine for both internal and external application or made decoction for oral taking or combined with blood-activating analgesics and bone injury and trauma-healing and bone-reuniting herbs. For instance it is combined with Mo Yao and Zi Ran Tong in Gu Sui Bu San from Tai Ping Sheng Hui Fang. 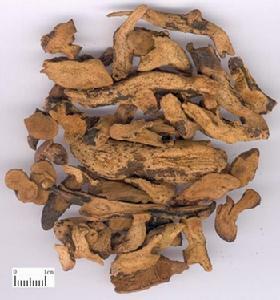 This herb warms and tonifies kidney yang, strengthens tendon and bone, replenishes deficiency. It is indicated for all the syndromes caused by kidney deficiency such as lumbago, weakness of legs, tinnitus, deafness and toothache. It also can tonify kidney yang that aims at replenishing fire to generate earth to stop diarrhea. For lumbago, atrophy and weakness of feet and knees due to kidney deficiency, it is combined with liver and kidney tonics and tendon and bone-strengthening herbs such as Du Zhong, Xu Duan and Niu Xi. For tinnitus, deafness and toothache due to kidney deficiency, it is combined with kidney tonics, essence-replenishing and fire-purging herbs such as Shu Di Huang, Shan Zhu Yu and Ze Xie. For long-term diarrhea due to kidney deficiency, it is used singly or combined with kidney and spleen-warming and diarrhea-checking herbs such as Bu Gu Zhi, Yi Zhi Ren and Wu Zhu Yu. 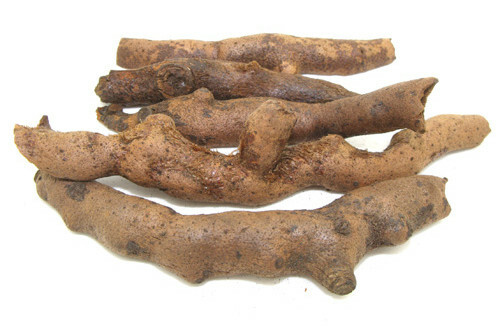 In addition, it is used in treatment of alopecia areata, vitiligo and so on. Decoct 10~15 g. Proper dose for external application. This herb is warm that can invigorate yang. Use with cautions for the yin deficiency and internal heat.